Seven million cinnamon rolls and counting… it’s no wonder that Calico County in Fort Smith has become well known for the crusty, sweet confections that greets every diner who sits at a table inside. around Fort Smith. 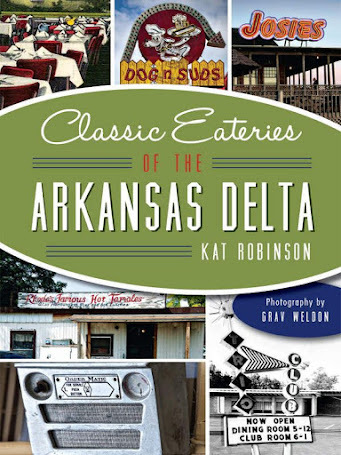 You’ll find old grocery store signs, cola cartons, historic advertisements and toys attached to the walls in each of the restaurant’s three dining rooms. Families have been celebrating birthdays, reunions and holidays here for generations. In 31 years, the place has changed little. That’s remarkable, since this restaurant had to be extensively restored after a terrible fire in the kitchen caused smoke damage throughout the entire building in November 2012. It took nearly a year, but the restaurant opened again, and every member of the staff received a paycheck while the restoration was taking place. 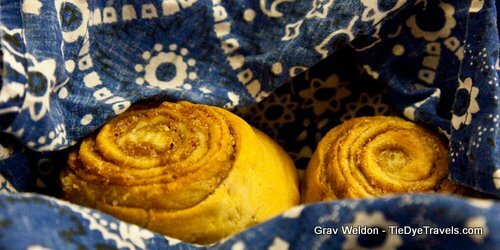 No matter the meal, breakfast or lunch or dinner, a basket of fresh, hot cinnamon rolls wrapped in cloth will be delivered to the table. 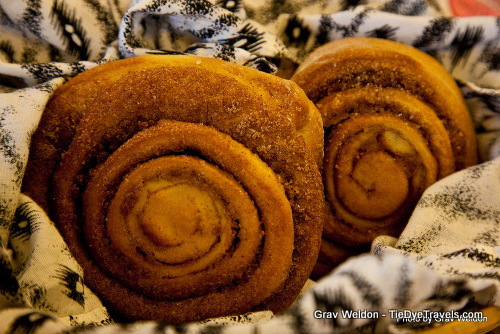 They’re good enough to enjoy with a cup of coffee by themselves – and if you’re so inclined, you can pick up a dozen to take with you at the register. 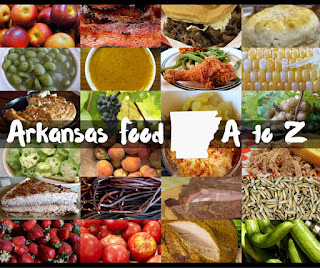 The restaurant’s menu includes a lot of other Arkansas favorites, such as chicken fried steak with gravy, lima beans, deep fried corn on the cob and chocolate gravy. In fact, Calico County’s chocolate gravy is some of the best around. 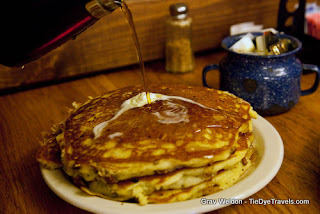 sorts of other options, including waffles and pancakes and biscuits. Dinners are also pretty good, with a lot of homemade favorites such as chicken pot pie and pot roast. One of the better bargains is the vegetable plate, where you can get four to six different items off the side item menu. 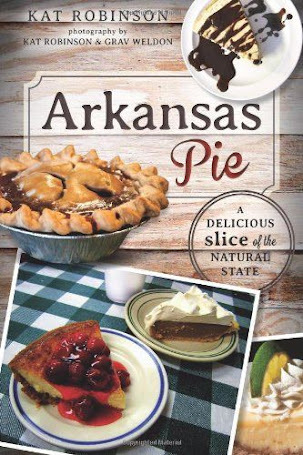 Those items include unusual items such as deep fried corn on the cob, which is a cobbette battered and seasoned and thrown in the deep fryer. 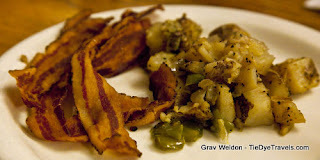 There's also Wets, which are fries covered in cream gravy - and smothered rice, which is white rice in brown steak gravy. 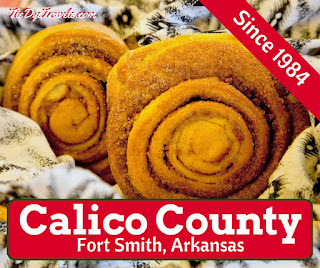 You’ll find Calico County at 2401 South 56th Street (behind the Ford Dealership) south off Rogers Avenue in Fort Smith. 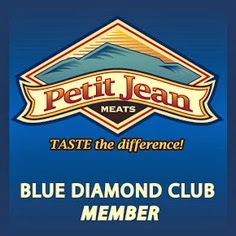 For more information, check out the restaurant website. 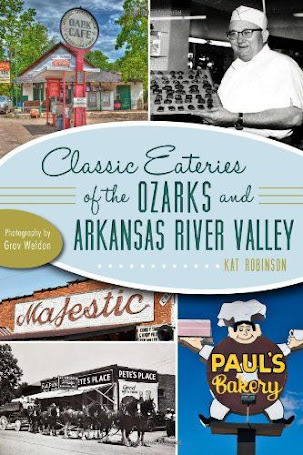 For more on restaurants in Fort Smith and throughout the area, check out my book Classic Eateries of the Ozarks and Arkansas River Valley.